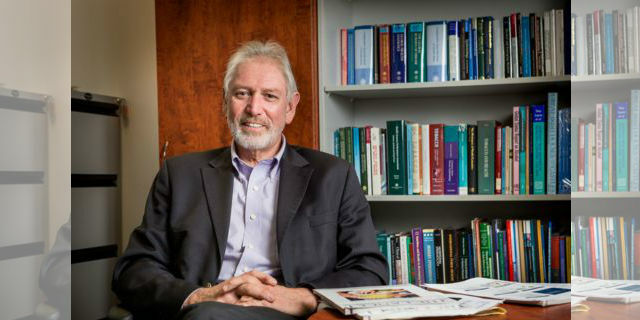 University of Melbourne Laureate Professor Alan Lopez is donating his prize money from the world’s most prestigious global health award to the University of Melbourne, to facilitate innovative work on measuring population health among emerging global health researchers. Professor Lopez, who earlier this year was the co-recipient of the 2018 John Dirks Canada Gairdner Global Health Award with his long-term collaborator Professor Chris Murray, will donate his CAD$50,000 share via a new grant to fund innovation in data-driven global health research. Alan’s life’s work has focused on helping countries improve their vital statistics on how we die, in order to better understand the impact of premature death and disability – and making sure this knowledge is reflected in how governments and NGOs decide health priorities and allocate healthcare resources. Together with Chris Murray, he pioneered the massive Global Burden of Disease Study, now published each year in The Lancet. Recognised as the largest global collaboration in science, with a workforce of more than 4000 collaborators from almost 150 countries, it tracks the incidence, prevalence and mortality from more than 350 diseases and injuries in nearly 200 countries. Alongside this, Alan’s work leading the $100 million Bloomberg Data for Health Initiative is having a significant impact on the quality of data required for planning. The initiative is training up clinicians to be able to consistently and accurately capture causes of death in hospitals in low to middle income countries, and introducing cost-effective methods such as Verbal Autopsy to diagnose the causes of home deaths using computer algorithms. The Measuring what Matters Global Health Grants will be open to global health researchers (including PhD students) at the University or in collaborating institutions in low and middle income countries to support research and training that will improve the quality of mortality data for planning (Professor Murray is establishing a similar grant support mechanism with his share of the prize money at the University of Washington). “Chris and I want to send a message that these global collaborations are incredibly important if we are to make the Global Burden of Disease Study increasingly useful for global health policy debates, but that they need to be supported,” Alan said. The eligibility criteria for projects will be determined in close collaboration with the head of the Melbourne School of Population and Global Health; it is expected that the first awards will be made early in 2019. “I would like to see the Award used to catalyse innovation and discovery by people with bold ideas in global health,” Alan said. Alan said his donation was a way of repaying the University’s faith in his work and the willingness of its leadership to invest in global health. “I don’t think they necessarily knew what they were getting into when they hired me six years ago” he said, “but they were courageous enough to follow their convictions that facilitating the interface between research, science and development policy should be seen as a strength and an opportunity for the University”. For details, keep an eye on www.researchprofessional.com and the Faculty's Focus on Funding newsletter (distributed to MDHS staff fortnightly).